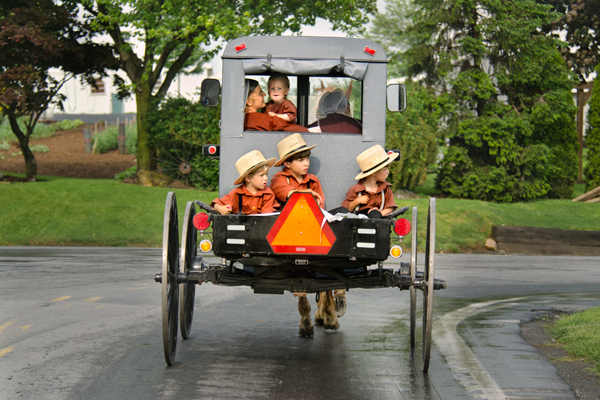 Amish canons sit ready to launch at tourists that venture too close. 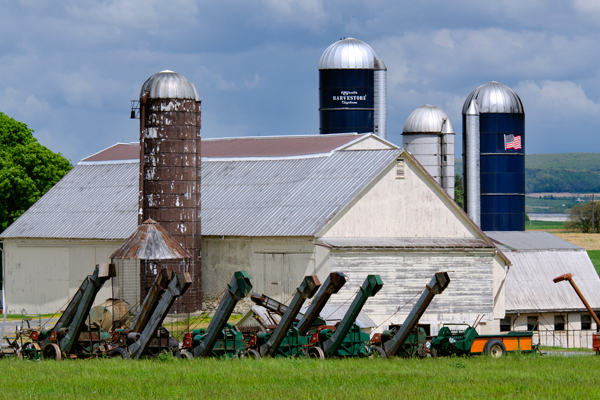 Actually just harvesters sitting in a field,but it sounded possible. 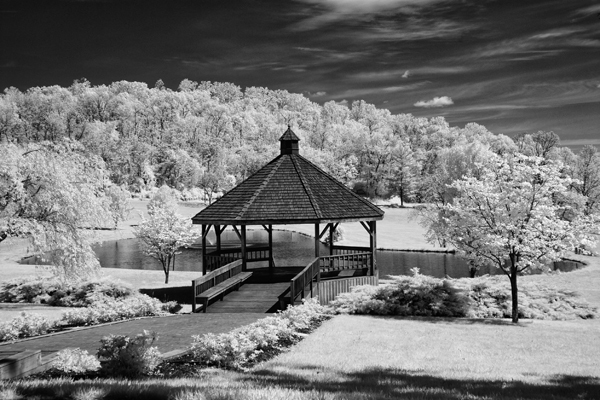 A gazebo stands out against the bright white foliage, which was the result of infrared. 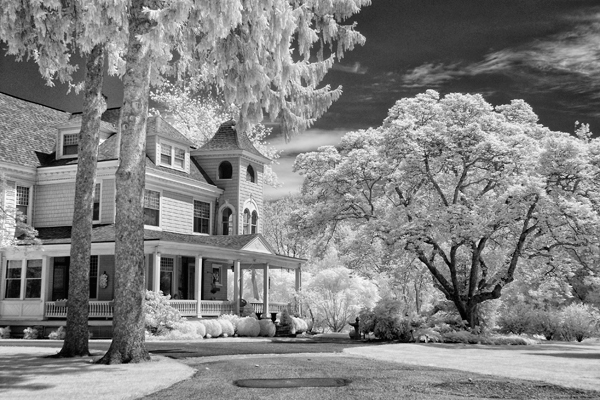 Two views of the same Victorian home shot in infrared. 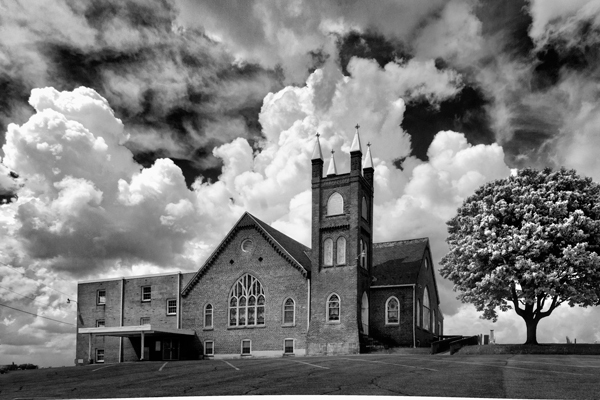 A powerful sky provides a nice backdrop for this local church. 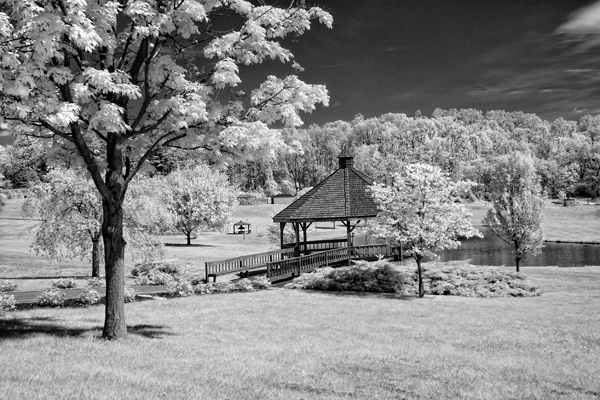 Wish I had shot this in infrared. 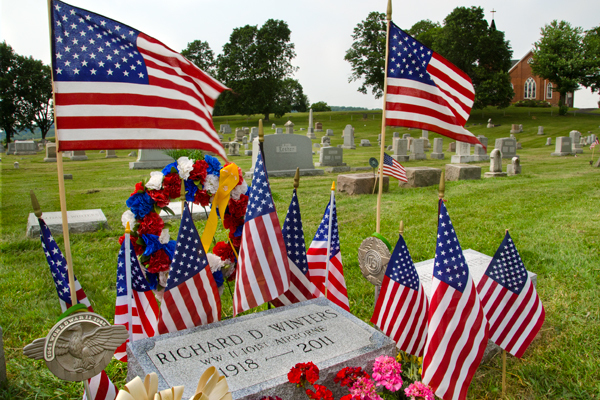 Two different views from area cemeteries honoring those who served our nation.The bottom image features flags placed by strangers who have visited the grave of Richard Winters. 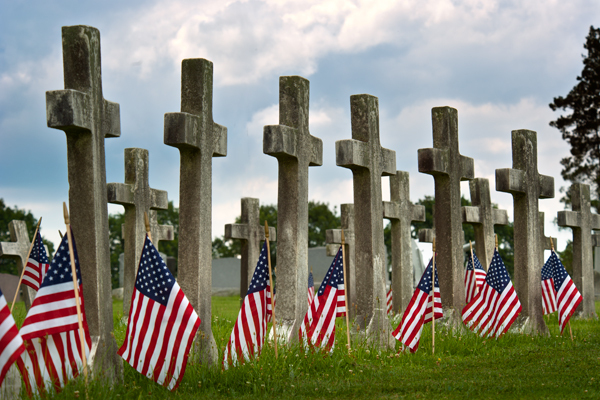 Major Winters was a decorated ww11 veteran who was featured in the HBO series,Band of Brothers. The net has much more info on this decorated soldier. 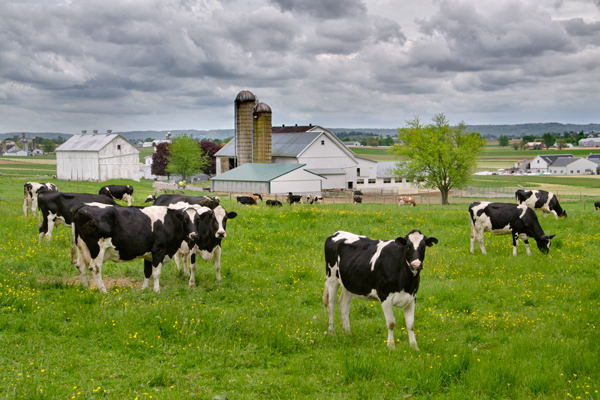 According to legend, cows usually lay down if its going to rain, so even though skies looked threatening,the herd of cows were not buying it. The spacing is what caught my eye initially. 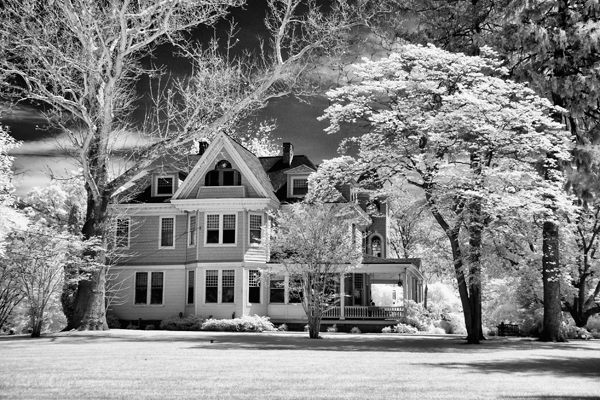 This image turned out pretty well considering it was shot through my truck windshield. I had snapped a few frames from the side of the road and the boys saw me ,so they looked away. I drove around a little while and found them again,so I tried shooting through the windshield as they paused at a stop sign and sure enough,it was sharp. The whole family was dressed in the same color and the little girl looking out the back window and the mom smiling at her were added touches.